The press is now reporting the death of Angus Scrimm (1926-2016), a horror movie icon, and a gentleman to boot. 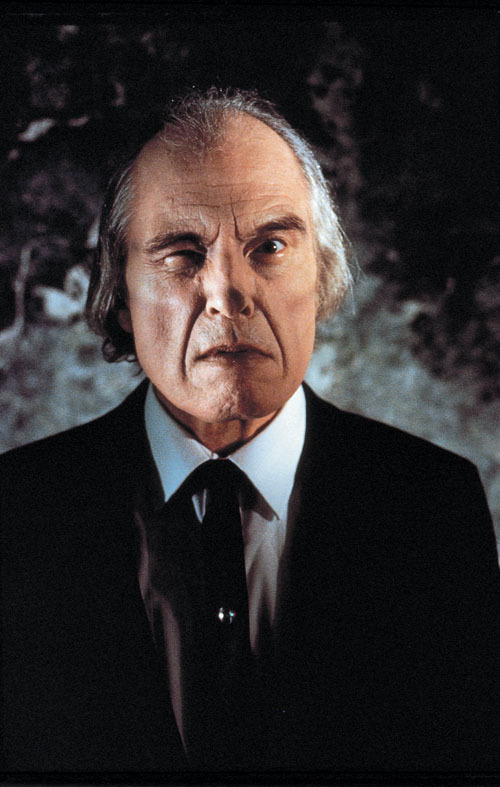 Angus Scrimm played the classic villain, The Tall Man in Don Coscarelli's Phantasm (1979), Phantasm II (1988), Phantasm III: Lord of the Dead (1994), Phantasm IV: Oblivion (1998). and the not-yet released Phantasm: RaVager (2016). In that career-making role, Scrimm was a perpetually terrifying presence, embodying the coldness, distance --not to mention extreme height -- of adulthood, at least from a child's perspective. Mr. Scrimm, formerly a journalist, also had a recurring role on Alias (2001 - 2005), appeared in films such as Subspecies (1990), and recently had an un-credited cameo in Always Watching: A Marble Hornets Story(2015), a found footage horror film about Slenderman, a character who is a step-child, perhaps, of The Tall Man. I last saw Mr. Scrimm in person at the Monsterfest Convention in 2012, here in Charlotte, N.C. It's a cliche to state that someone is a scholar and a gentleman, but that's actually a perfect description of this kind, literate and yet imposing man and his intellect. He was a man of words and letters, as well as moving, effective performance. Horror has lost a classic actor and boogeyman today, but to paraphrase The Tall Man, now that he has gone from this mortal coil...he comes to us. It is now for the audiences who have loved Angus Scrimm to render him truly immortal, by watching and re-experiencing his work. 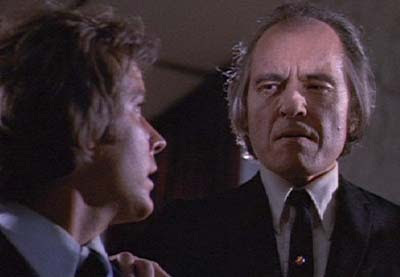 Rest in Peace, Angus Scrimm.